Beware - the Halloween animals are on the loose. They're captivated by Ethel Kennedy's chilling account of Ichabod Crane and the Headless Horseman. The united Nations Building towers in the background. Sweet dreams to the leopard lady, tucked under matching leopard sheets. Right, wild creatures stalk their prey - two tables laden with Halloween goodies. 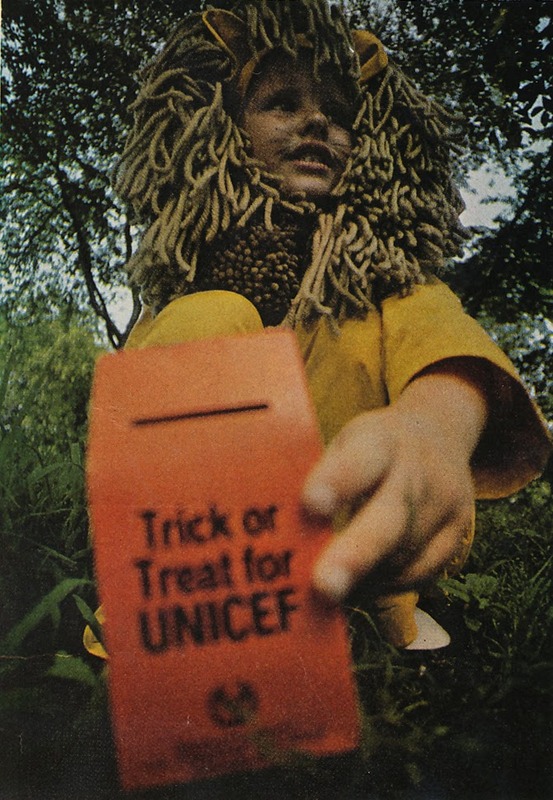 No tricks, just treats, please, and lots of money for UNICEF. Our trick-or-treaters covered the area near the United Nations in New York. 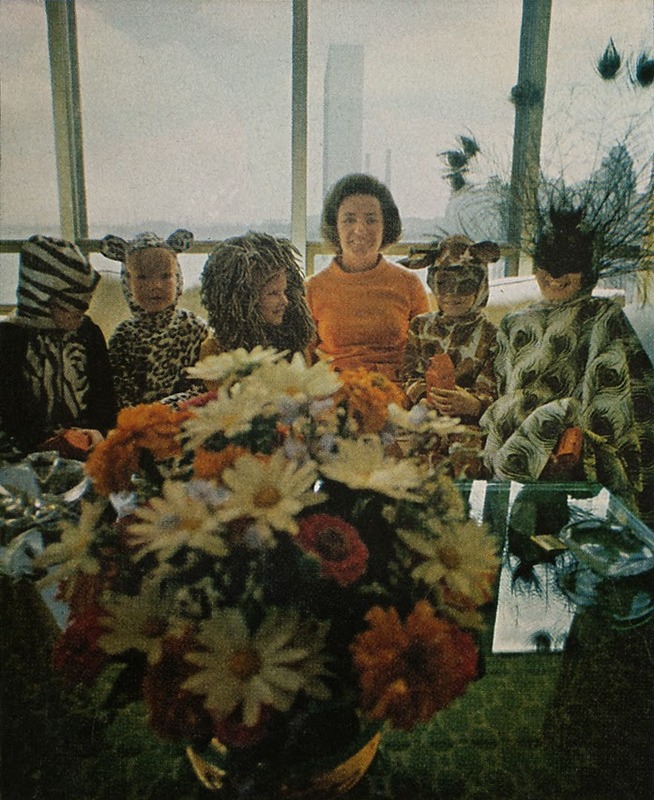 Because one of the world's most experienced mothers, Mrs. Ethel Kennedy (wife of Robert), lives nearby, we asked her to serve as guest hostess. 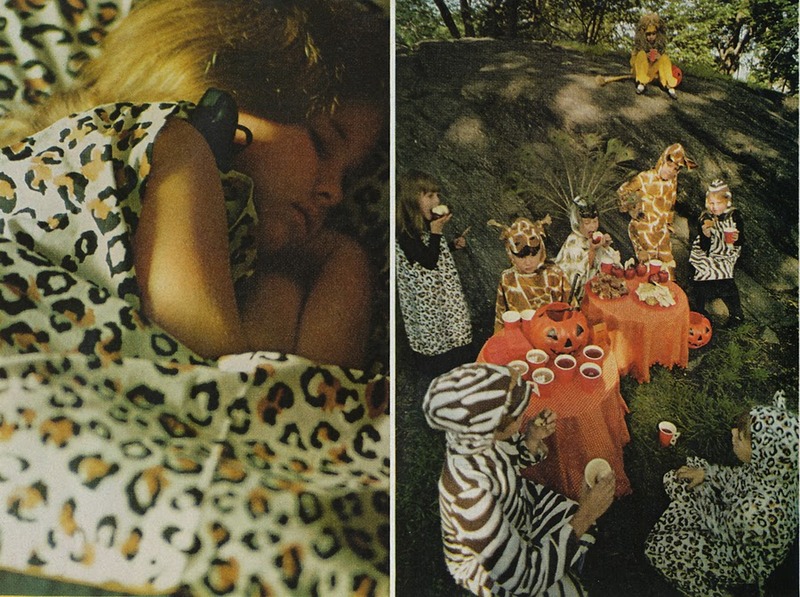 The day before the big event we made a Halloween zoo with wild-animal print sheets by Stevens. Our food was sweet and simple: a drink of Cranberry-Apple Switched, "spiked" with ginger ale; Hot Chocolate afloat with cat-faced marshmallows; Marble Brownies, chock full of chopped walnuts; Gingerbread Pumpkin Cookies and Halloween Animal Cookies, all decorated with colorful frosting squirted from pressurized cans (fun for the children to do themselves). Food gobbled up, bagfuls of money for UNICEF tallied, our guests were allowed to wear their costumes home, where, at bedtime, they turned into a favorite new nightie or pajamas. Everyone agreed the evening was a howling success. 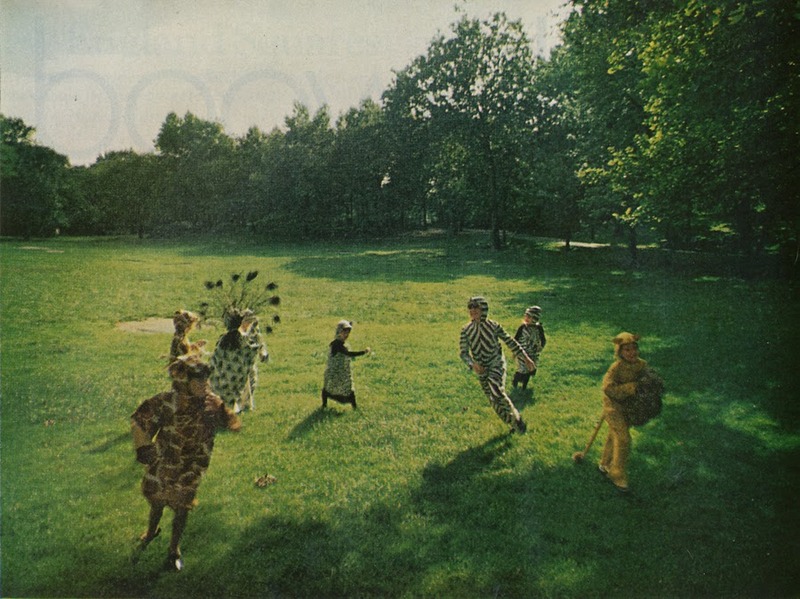 Photos and text from Ladies Home Journal, October 1967.